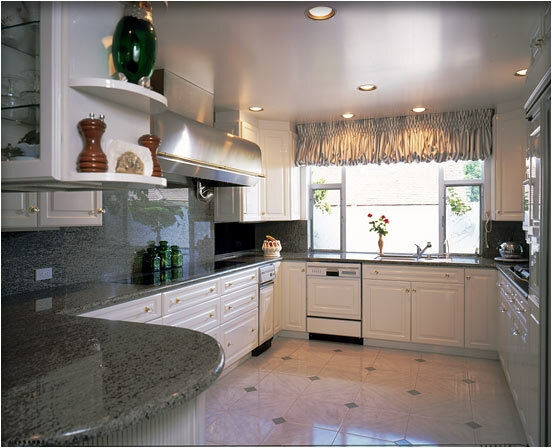 Smaller Project 8-2, Kitchen Remodel » Roger Perron Inc. Here is a close-up of the kitchen remodel we did. The cabinets are high gloss with special factory paint. The electronic cooktop is built flush into the granite with special cooktop tiles. Design plan and details for this Hollywood home by Roger Perron, design-build contractor.